Cooking Healthy Meals is bit challenging as one needs to keep in mind both nutrition & taste . Specially for small kids as usually kids are fussy eaters and do not like vegetables and are keen to munch unhealthy snacks . 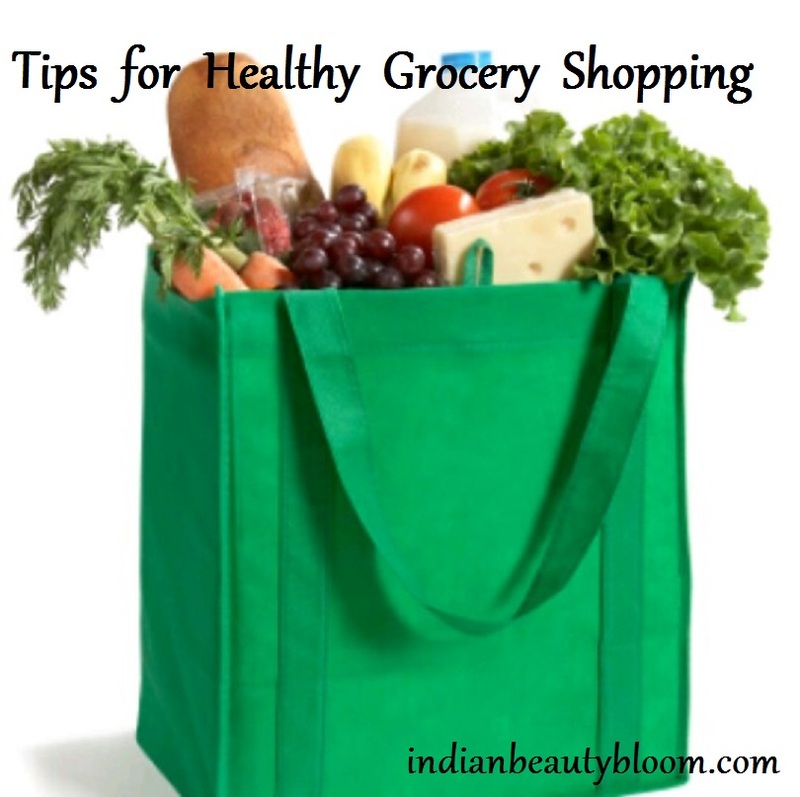 In this post I will share some Tips How to Shop Healthy for Your Meals . Many a times we do not prepare the grocery list and simply buy what we see at super stores or malls . This habit is not good as we miss few items as well most of times we buy unnecessary stuffs . One should plan weekly meals and buy grocery accordingly . So that all the food items are being used and finished in that week only . 2. Food items like Rice , Cereals , Dried beans and ones which do not perish quickly can be brought in bulk so as to save some money . 3. Buy Whole foods instead of buying cooked ones . Cooked food products like Curries , Paratha’s have some preservatives in it , also salt content of these products are higher , so better to avoid such as they are unhealthy & expensive . One can easily cook such dishes at home which are fresh & healthier . 4. For Fruits & Vegetables one can buy it from local vendors rather then from Superstores as local vendors bring fresh ones and many a times price is less than what’s available at mall or superstores . 5. With kids one needs to buy some snacks , Try to buy Healthy snacks like Dry Fruits ( Almonds , Pistachios etc ) which they will eat rather then buying unhealthy snacks like cookies & candies . Once in a while we can give them cookies & candies but regular consumption is not good. 6. Again for Fish , Chicken or Mutton better to buy fresh ones rather then frozen ones . 7. Do check expiry date of all packed food items so as to avoid any health problem later on . 8. If possible try to read ingredients of packed food items , so as to know amount of salt , sugar , preservatives & Calories in it , so as to do a wise shopping and avoid food loaded with calories . 9. Avoid Soft drinks , Colas as they are too bad for health , Try to buy Fruit juices . Again one needs to check sugar content in it , try to get ones which are sugar free or have less sugar in it . 10 .One can opt for Plain Yogurt rather than flavored ones as they have good amount of sugar in it , one can add fresh fruits at home to make it more delicious . 12. Try to buy Organic foods : fruits , vegetables & lentils . Though they are bit expensive than regular ones but are healthy . This way one can do Healthy Grocery Shopping . One can try to make simple but delicious dishes at home which all will like . Home cooked food are far better than what’s available outside as we never know how they are cooked : Hygiene factor , Oil used , amount of salt , sugar or spices , freshness of the food product etc. This article is written as a part of #SuperBloggerChallenge2018 conducted by Healthwealthbridge.com , Fashionablefoodz.com , Allaboutthewoman.com and should not be repurposed , republished or used otherwise .The content herein is owned by the blogger. SuperBloggerChallenge2018 is not responsible for any kind of infringement caused .